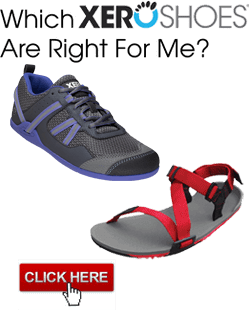 Click Here to order Xero Shoes with FeelTrue® outsoles We are extremely proud to introduce you to the only outsole specifically designed for barefoot running, our new FeelTrue® outsoles. Now in Five cool colors! 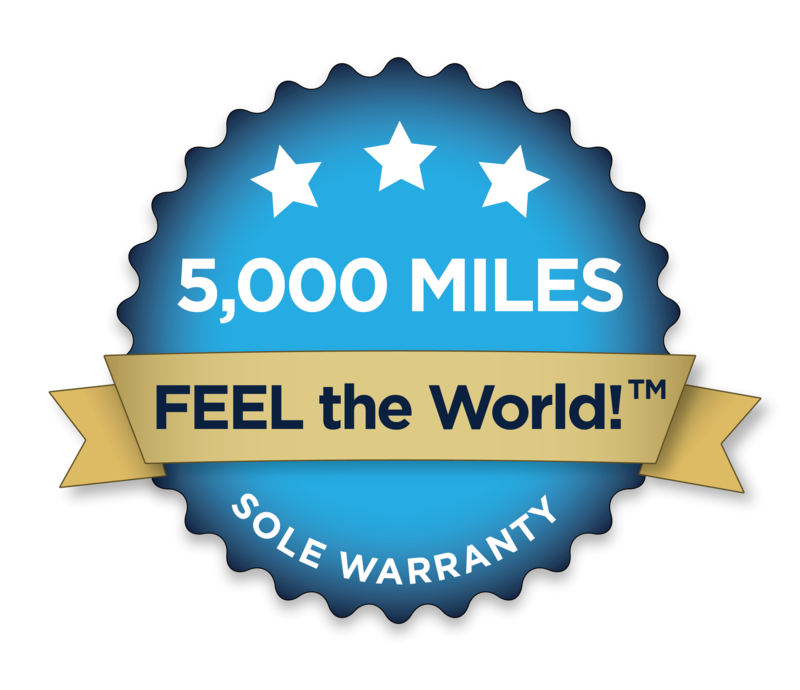 “High-abrasion” material lasts a long time (hence, our 5,000 mile sole warranty! Get our FeelTrue® soles in one of our Do-it-yourself Kits, or have us custom make a pair to fit your foot. Whether you walk, run, hike, or use your Xero Shoes for anything else, we can’t wait for you to try Connect and Contact and let us know how much you enjoy being able to Feel The World™. In short, we worked with the former lead designers from Nike and Reebok to develop FeelTrue. 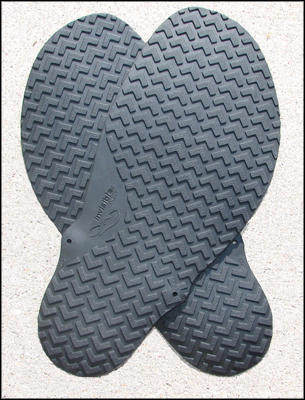 And we developed it specifically to be a VAST improvement over the Vibram Cherry. 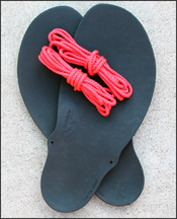 It’s the only outsole made specifically for barefoot sandals. Just saw you on shark tank. I have one question. Are all the parts of this shoe made here in America. Hi Breeze… they’re not. But even if they were “made in America” is not as simple as many of us would like. For example, for rubber, no matter where it’s made, almost none of the materials come from America. There’s only one company in America that I’ve found that can do the compression molding we require… and they’re owned by a European company. The vast majority of their employees are immigrants who send a lot of their wages home. And, at our volume, we wouldn’t be creating any new jobs. There are other companies that advertise “made in America” that, similarly, are sending their cash overseas, even though they write a check to o “US-based” company. Entrepreneur take their product over seas for manufacturing to increase the profit margin. And I am always hearing how these rich people are job creators. Anyway – not trying to get into all that. Thanks for answering my question. I can’t at the moment – but will be ordering a couple pair soon! I love being barefoot but hate the pit falls of it……..dirty feet, cuts, bad terrain, hot surfaces…….well, you know! Thanks again. I truly wish great success to you both! Well, think about that “job creators” thing some more. Sure, they might not be creating low-pay manufacturing jobs. Would you really pay more for most products just to ensure that they were made entirely in your country? Maybe yes, but in general, everybody around you looks for bargains, thus driving the market to the people with the lowest costs. It couldn’t happen if people willingly paid a “homegrown” premium. Not enough are willing. The sharks and the successful entrepreneurs are reacting to that reality. h) others I can’t think of right now. And anyway, if the low-skill jobs are overseas, chances are the senior executives of the overseas manufacturing company is making 30-to-100 times what the low-end worker is making, while if the same job still existed in your country, the CEO would be compensated at anywhere from 500-to-tens-of-thousands times what his lowly workies get. By the way, and not to twist the knife, but… by buying Xero Shoes (or any other huarache or minimalist shoe) you are reducing the market for a company that DOES produce a fine-quality American-made product. Before I discovered minimalist/barefoot benefits, I wore shoes… with socks in ’em. The best socks I’d found are Darn Tough, from Vermont… and even THEY had to get their Merino wool from New Zealand and their high-end knitting machines from Italy. And, before you ask, no, Darn Tough can’t/won’t make toe socks. Their expensive Italian knitting machines can’t handle the complex shapes of toe socks. I asked. I live up here in Canada, where we have … y’know… winter. Toe socks with sandals might have been nice. Hi, does the 4/6 mm include the lugs? How thick are they? They are non-marring … but we don’t have white at the moment. Only the 5 colors I show here. I just got mine, today. Wore them around the house, walked the dog, and did a quick little run around a couple of blocks in the neighborhood. My verdict: Mostly good. Comfortable. Will take a bit of tweaking to adjust the lacing, until I feel comfortable cutting off the excess. While standing around, or while walking on hard surfaces, I could forget I had them on. I thought I was landing well on my forefoot when running, but apparently not – I was getting a slapping noise with every running step. None when walking. The only “con” for me, so far, is that I keep curling the toe under, when I’m on carpet, grass, any surface that’s not smooth-ish and hard. All stairs in our house are carpeted, and I’ve been up and down many times, and every time, I’ve caught the toe of one Xero or the other and it curls under and I’m walking on a roll of rubber. Same thing when I walked briskly across our little patch of lawn. I lift the foot and it extends flat again, of course. Did I hear (read) that you had a trick for stiffening the front a little, to avoid the curl? They don’t naturally want to curl under – and maybe this will resolve once they get nice and dusty-dirty, and lose a bit of their grip. But right now, the sole material is very grippy, and the slightest skim causes it to grab and get rolled under my toes. Maybe I can Krazy-glue a toothpick to the……. never mind…. a) Some people get the “sweet spot” of lacing tension right on the first try. Others take a couple of days to dial it in. But once you’ve found it… you’ve found it and you won’t have to re-tie them, well, maybe never. c) Catching the front edge of the sole has nothing to do with the sole “curling under”, which it doesn’t do. That is, the sole doesn’t spontaneously bend, flop, or flex. If you look at the video on this page and see where I hold the sole up with just a few fingers supporting it… it’s flexible, but only bends under force or pressure, not by it’s own weight. What’s happening is what you’ve described: you’re skimming the front edge of the sole on the ground by, in essence, dragging your toes a bit (rather, having your toes so close to the ground at one point in your gait that you catch it). I like to say, think about cowboy boots. Why don’t you catch the front edge of those and fall on your face? Because your body quickly learns to make SMALL adjustments so that you don’t catch the front edge. Same thing here, basically. When we have so little on our feet that we barely notice, we’ll tend to relax more and pass our toes closer to the ground, or let the ankle bend and have the toes pointing down more than usual. This can lead to catching the front edge. But as you pointed out, it’s not a big deal — lift your foot and it flips back up. And, if you give it a bit of time (not much), you’ll probably see that you spontaneously and unconsciously start lifting your feet/toes the TINY bit extra (literally, a few millimeters) that you need and you’ll stop catching an edge. I’ve gotten my XeroShoes 3 weeks ago and I haven’t taken them off… I love them!!! I went for the 4mm’s. Thank you for mentioning the “Slap” I struggle with it sometimes too. I’ve gone from 10+ years of hiking boots with insoles for my PH to Xeroshoes, and so far so good… I experienced very stiff ankles and feet during my first few days but now its evened out a bit. :: I love the feel of the “world” the real feel of grass and ground without getting my feet dirty. :: cutting the shoe to “size” was a bit of a mission – luckily I’ve got a very handy friend otherwise it would have looked totally hacked. :: I need to work on the “slap” as I’m afraid I might fall on my face..
:: Sometimes the string around the heel “falls” off. I am wanting to do a 21km in them on Friday. One reason we made the ready-to-wear products — the Venture and the new Cloud — is for people who have a tricky time with cutting the DIY kits. If the lace is falling off your heel, you may need to raise the heel strap up by wrapping it around the ankle hole more than once (see Sonja’s tying style videos at http://www.xeroshoes.com/tying for an example of what I mean). 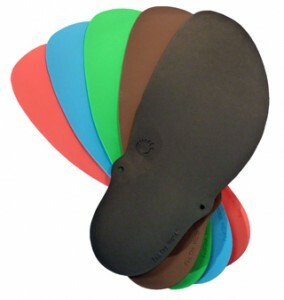 Regarding slapping… check out http://www.xeroshoes.com/slap. I’ve had these shoes or well lack of them for over 4 months now, and I just have to say they are AMAZING! Very comfy and the outsole will never run out from the looks of it. THe only issue I’ve had is the middle toe string wearing out multiple times, but I’ve found if you take a small piece or duct tape with about the width of your pinky finger nail and wrap it around it will keep the laces lasting longer, and it doesn’t even show up or change how comfortable they are. They’re a synthetic rubber. Every ingredient has been deemed safe by the very strict California safety requirements. how much does a women’s U.S size 9 weigh? I trimmed the edge of my Feel True soles and now they look all hacked! Is there a way to file or shave the edge to smooth it out? 2) To trim off “corners” turn the sole over and cut just the corner, using the suggestion above. When I trimmed mine with kitchen shears, I promptly took them out to my bench in the garage and smoothed out the rough edges with a Dremel fitted with a coarse 1/2″ sanding drum, rounding the edge on the top sole to match that of the factory molding and slightly angling the bottom to take out the “fringe” left from cutting through the chevron pattern. You almost can’t tell they didn’t arrive from the factory. Dremel speed should be about 20-30% of full to avoid overheating the rubber. How can we best decide which type of your shoes to get? Now that you have three types, how do we choose? I’ve never had any. 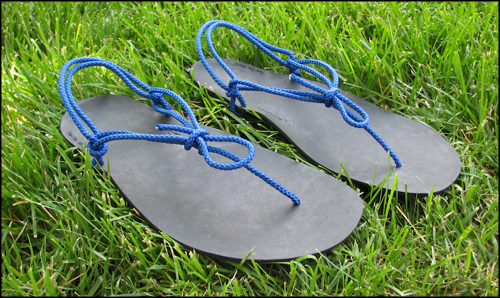 The first choice: Do you want the fun of making your sandals from a do-it-yourself kit, or do you want something ready-to-wear? For the former, pick our kits — https://xeroshoes.com/shop/product-category/diy-kits/. A second question: Do you want the fun of all the color and decoration options that our kit gives you… or do you like the color combinations of the ready-to-wear Amuri line? Same pointers as above, based on your answer. Third: Do you want the ULTIMATE barefoot experience? Then you’ll want our 4mm DIY kit. If you want more protection, the 6mm kit or the Venture will be what you want. When it comes to “protection,” the Cloud is in between those two options… the Barefoam™ makes the Cloud sole “more barefoot” than the Venture and 6mm kit, and more protected than the 4mm kits. Some use the Venture as their trail sandal and the Cloud for everything else (though it can handle trails if you like a real barefoot feeling on the trail). Do you sell any DIY kits that don’t have the outsoles already cut to shape (i.e. just a square of material)? My feet are a really weird shape – your precut soles will be much too wide for my heels if I get them to fit the rest of my foot. Also, I can’t tolerate “subtle arch” curving, I need soles that are totally flat. If not, where can I buy that material?